I've created a new meditation video using my chakra pieces. The video is a ten minute meditation video using binaural beats. I recommend listening with headphones during this meditation. I've used my chakra pieces for this meditation. The binaural beat effect is the result of two slightly different audio waves being heard separately by the left and right ear (such as in a pair of headphones) in a manner that encourages the neurophysiology to generate a specific unified brain wave pattern. If you like feel free to subscribe to my youtube channel to keep updated on new videos as I post them.I will begin working on meditation videos for each separate chakra that will be a more in-depth meditation! Since my original post on my Chakra Meditation video I have been invited to collaborate on a Guided Chakra Mediation cd, Journey Through The Chakra's with Aradia Orcut and Synthesist. Aradia was immediately drawn to my (original) chakra meditations and invited me to collaborate on the project. 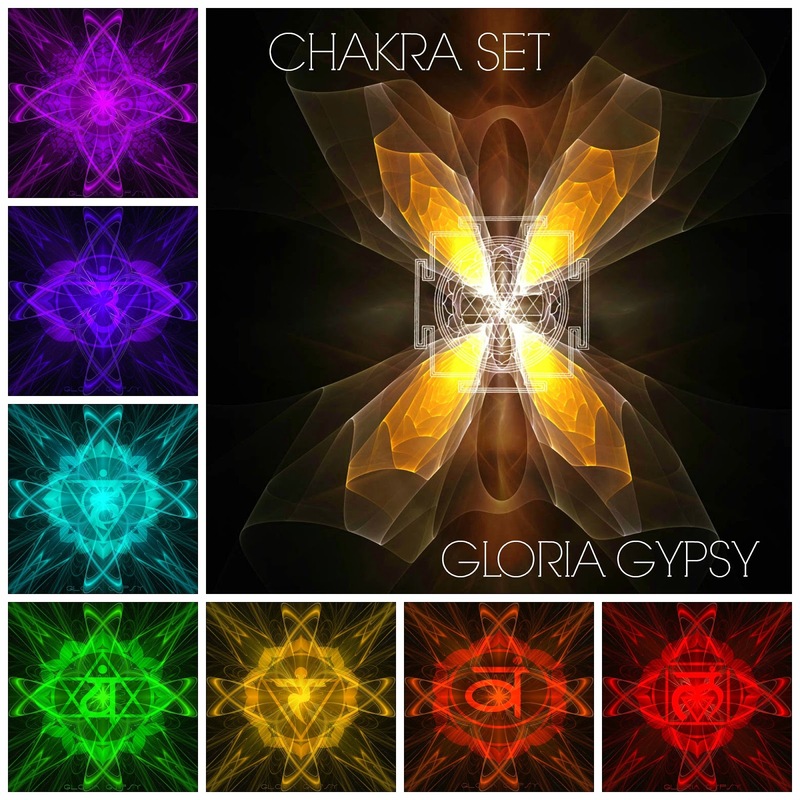 I allowed my permission for the set to be used as the cover and insert art and was also asked to create the Soul (Star) Chakra in addition (see image at the top of this post). During meditation (8th chakra) this is the image that came to me, and so it is. The Soul Chakra is located above the crown chakra. It is associated with spiritual connection between individuals as well as connecion to one's Higer Self. In addition to the Seven main Chakra's, our bodies have many, many more (smaller) chakra centers throughout. We also have Transpersonal chakras, a line of several chakras that many yogis and meditation practitioners say are located above the the crown chakra. In fact chakra's are not only found in the human body, they are in animals and plants, and even Gaia has her own Chakra and Vortex Points!